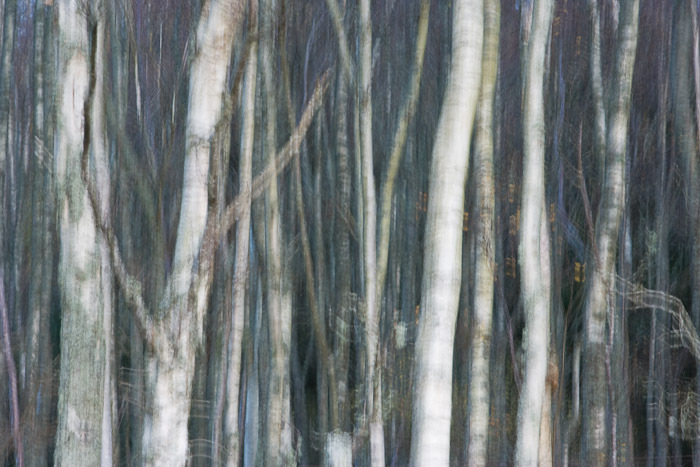 Soft Winter light highlighted the Silver Birch tree trunks, making them glow a ghostly white against the dark background. In this image, I used a series of stepped movements in order to keep detail in the image without too much blur. Photo © copyright by Graham Chalmers.